Ali Judian Al Rashidi, our dignified sponsor, is one of the most sincere men who has devoted his time and energy in his service to education. Born in February 1965, Mr. Rashidi showed interest in science and education throughout his life. Though he hails from the family of businessmen, his passion for serving the younger generation urged him to open a number of schools in different parts of Kuwait. Al Jaber Local School for children with special needs, Al Jaber School for Paramedics, Indian Educational School, Jleeb Al Shyouk, and Jack and Jill Nursery School, Al Mangaf are the prime institutions that he established to lead the tender budding kids to the world of knowledge. His contribution in the field of education continues, and it will reach its culmination when his wish to establish a private university in the near future (if Allah wills) is materialised. His love for his country and his countrymen is sincere and deep-rooted. His contribution in the field of education is well appreciated as his service to his homeland. 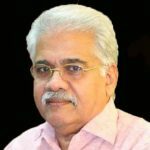 A self-motivated, dynamic, confident person and a man who distinguishes himself by ‘thinking outside the boundaries’, N. K. Ramachandran Menon is the Chairman of Bhavans Kendras and Schools in Kuwait, Bahrain, Abu Dhabi, Al Ain and Ajman. Having played various roles as a thought leader, a keen analyst, a thorough administrator, Mr. Ramachandran Menon is spearheading Bhavan’s Middle East expansion in Education and ICT. As a man of principles and values, Mr. Ramachandran Menon shows exemplary enthusiasm to be innovative in providing value based quality education. 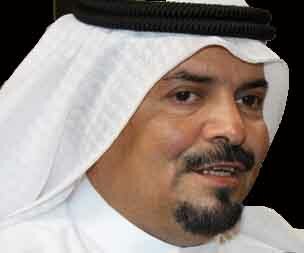 His visions, ideals, and experience are the real prime movers of IES and other Bhavans Kendras in Middle East. Mr. Sooraj Ramachandran is spearheading the group’s Middle East expansion and initiatives of the group, especially initiatives to launch pre schools which will function as feeder schools to all the Bhavans schools in the Middle East in the future as well as initiatives to start programmes for student training for distance and higher education, professional courses and special education. Programmes for teacher training are also part of future plans. 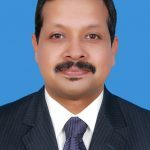 A Chartered Accountant by profession with his practice based out of India, Mr.Sooraj did his initial six years of schooling in Indian School Kuwait and the later six years in Bharatiya Vidya Bhavan, Elamakara in Cochin, Kerala. 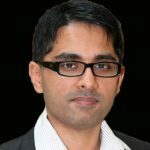 Mr.Sooraj, who is an avid reader and a sports enthusiast, has represented his school and college teams in Cricket, Football and various Track and Field events. Presently, Mr.Sooraj stays in Abu Dhabi with his wife, Dr.Vineetha and two children. Special interests – Creative teaching for the students and teachers, Parents orientation, Motivational speech, and Music therapy to all needy, Yoga instructor. © 2017 Bhavan's - Smart Indian School, Kuwait | Developed by ETH Limited.